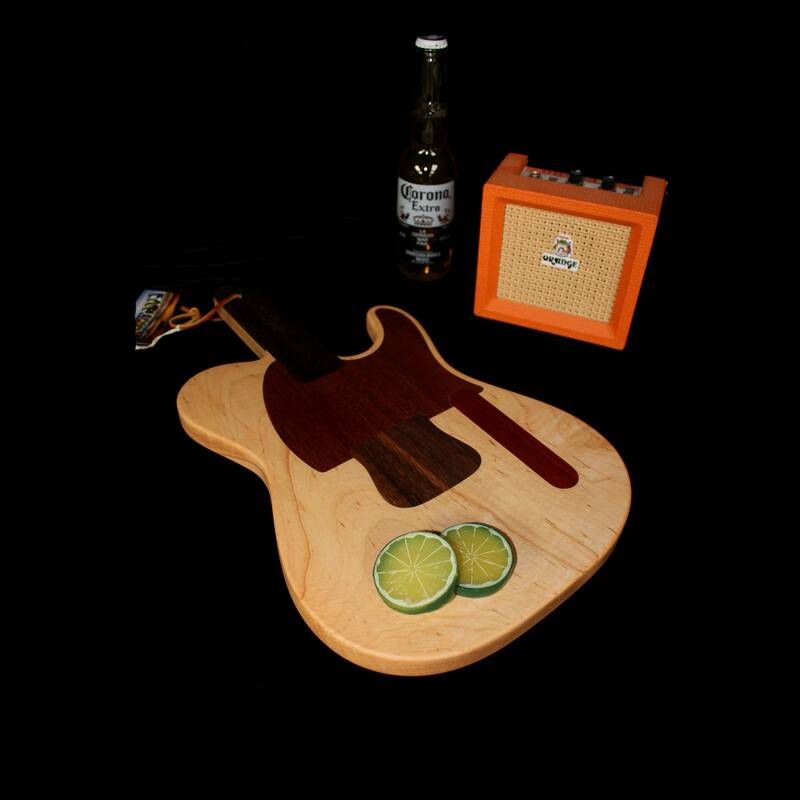 This beautiful Guitar shaped cutting board is a scaled down Fender Telecaster. It is made entirely of wood with inlayed details. 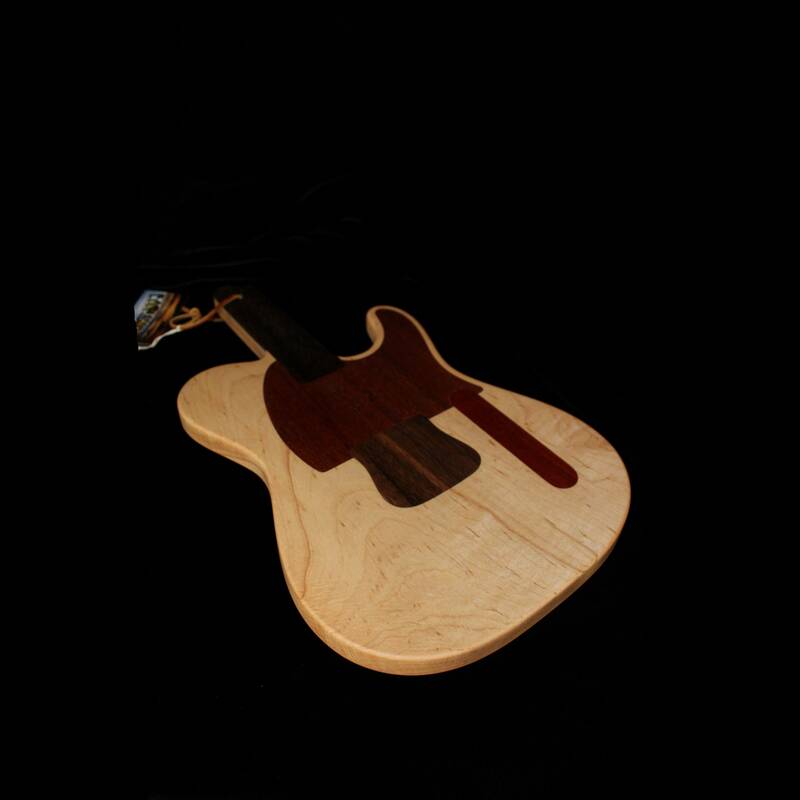 The body is Maple wood. All Boards are branded " Hand Crafted in The USA "